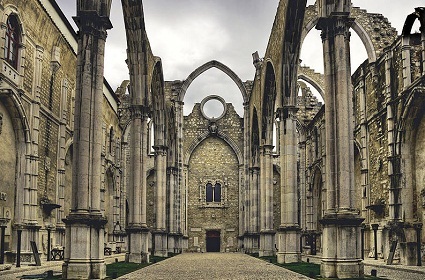 This amazing gothic monument to the past, Carmo Church, was founded by a Portuguese national hero, Nuno Alvares Pereira, who later became a member of the Carmelite Order. Finished in 1423, it was the biggest church in the area until an earthquake took it down in 1755. Reconstructed, it now houses the Archaeological Carmo Museum. 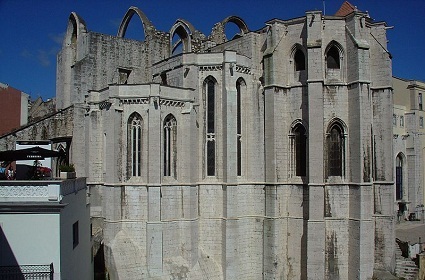 The Carmo Church was built on a slope to the west of downtown Lisbon, with the front facing lower on the slope than the rear. Originally built along with the now closed Carmelite monastery, its construction dates back to a vow made by Pereira, praying for God’s aid in defeating the forces of Castille during Portugal’s battle for independence. Victorious, he joined the monks and began constructing the church with the new king, Joao I. 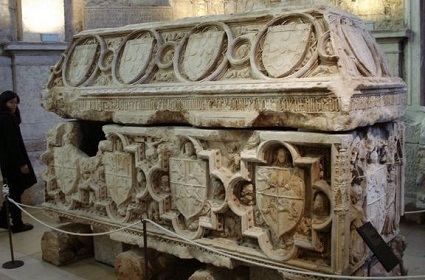 This monument is the only one in Lisbon to honor the pure Gothic style of architecture. Despite being ravaged by the earthquake, some parts, including the huge Gothic arches of the main tower still stand till today and the more intact areas such as the chancel have been converted for use as a museum. Inside you will find many wonders of a bygone age.